My number 1 favorite woman in history is Queen Elizabeth I.
Strong-willed, intelligent, popular and personal, Queen Elizabeth dedicated herself to her people. Despite her father killing off her mother and several of her step-mothers, Elizabeth was decisive, deliberate, regal, and patient. She was reluctant to take action in foreign affairs with the belief that wars were expensive and peace was cheap. 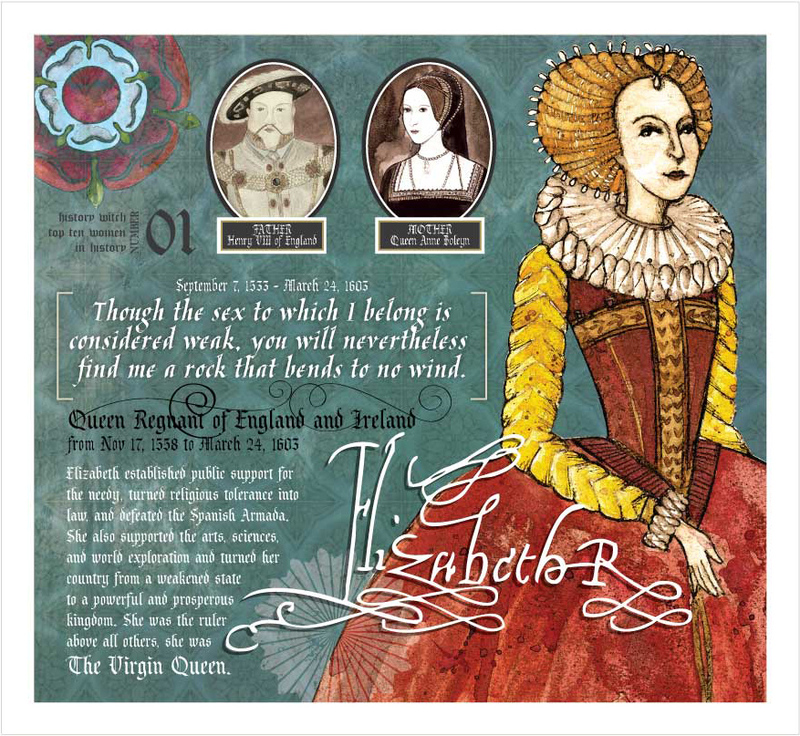 For some really GREAT information on Elizabeth, I highly recommend going to http://thehistorychicks.com/ and listening to both podcasts Queen Elizabeth Part 1 and Part 2. The history chicks know.their.stuff. and I love listening to them discuss all my favorite women in history while I paint!